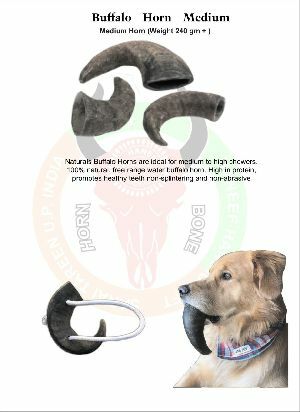 Naturals Buffalo Horns are ideal for medium to high chewers. 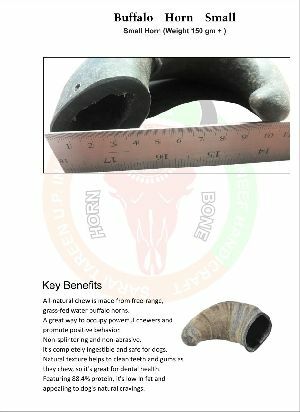 100% natural, free range water buffalo horn. High in protein, promotes healthy teeth non-splintering and non-abrasive. 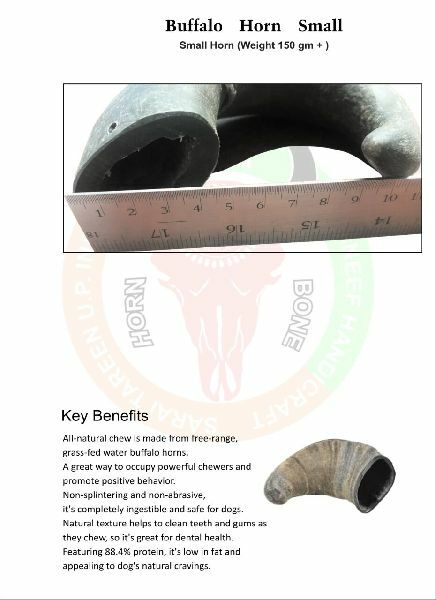 All-natural chew is made from free-range, grass-fed water buffalo horns. A great way to occupy powerful chewers and promote positive behavior. 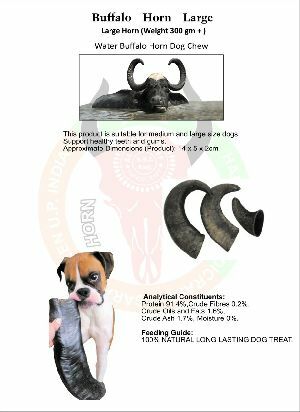 Non-splintering and non-abrasive, it's completely ingestible and safe for dogs. Natural texture helps to clean teeth and gums as they chew, so it's great for dental health. 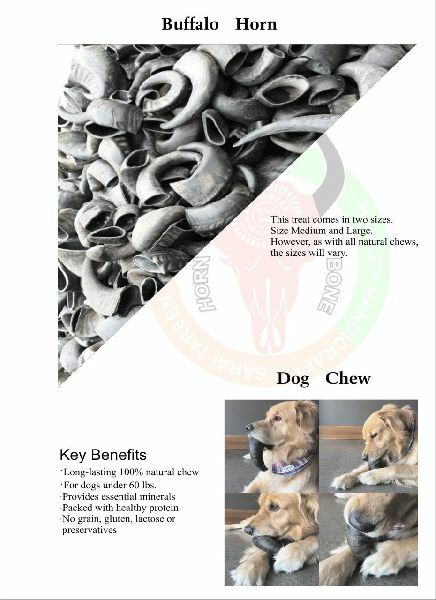 Featuring 88.4% protein, it's low in fat and appealing to dog's natural cravings. Crude Ash 1.7%, Moisture 0%.